Heads up, Canada: there are more heatwaves coming at ya this last month of summer. Can't handle the sweatshow? Skip that over-crowded street fest, crank up your AC and settle in with a mojito while ramping up your Netflix and chillin' game. Season two of "Ozark," "How to Get Away With Murder" and "Homeland" are back just in time for your long weekend binging. Eminem is also back with "8 Mile," and we're just a bit excited about Matt Groening's new animated series, "Disenchantment." The real Slim Shady is standing up 16 years after "8 Mile" hit theatres. This musical drama stars Eminem as Jimmy "B-Rabbit" Smith, a white, blue-collar worker who dreams of making it as a hip-hop star. Matt Groening, the beloved creator the Simpsons, brings you this new animated-for-adults show. It takes place in the "crumbling medieval kingdom" of Dreamland, which features imps, trolls, walruses, and "human fools." This human fool can.not.wait. An insider's look at the Buzzfeed newsroom, this weekly, short-form doc series follows the culture site's reporters. Episode one centres on journalist Scaachi Koul (also a former HuffPost alum) as she explores the rapidly growing world of autonomous sensory meridian response videos. Remember Beyonce's jaw-dropping Coachella performance earlier this year that honoured Black colleges, including their hype marching bands? Get ready to see some equally incredible marching band performances in this behind-the-scenes look at Bethune-Cookman University's Marching Wildcats. After a devastating betrayal, kind-hearted queen Freya unleashes wicked powers and wages war against love, which warriors Eric and Sara fall victim to. Brilliant criminal defense attorney and law professor Annalise Keating, plus five of her student, become involved in a twisted murder case. 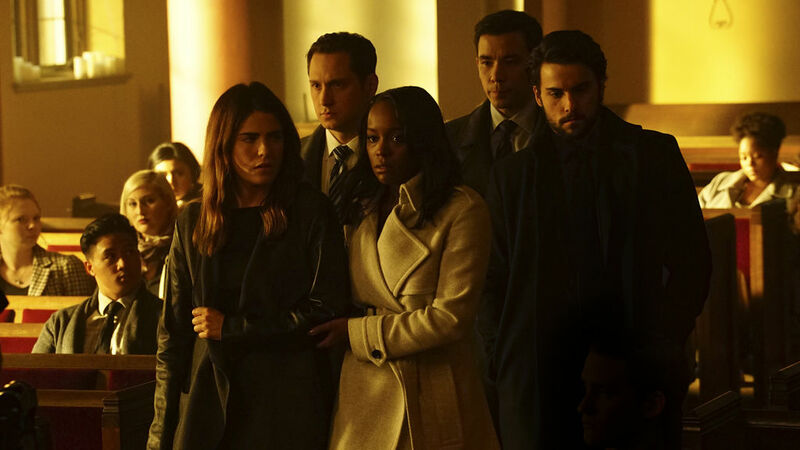 "How To Get Away With Murder" is back on Netflix Canada for another season.